Editor's Note: This post is part of a series on the state of the financial services industry. The function and purpose of the physical corporate workspace is evolving. Technology has made ‘where’ we work irrelevant in many cases. The workplace of the future is more about ‘how’ we work, bringing people together to collaborate, innovate, learn and socialize. It’s about communicating, nurturing and supporting a company’s culture and mission. Couple that institutional evolution with an increase in worker expectations, their desire to contribute and engage in a meaningful enterprise and the emerging generational appetite for advancement through more frequent changes and you’ll quickly realize that the business of design is no longer ‘business as usual.’ To compete with top talent, Financial Services Firms must place a greater emphasis on the employee experience. There are as many different approaches to employee amenities as there are unique corporate cultures and missions. Not surprisingly, many focus on food. Sophisticated coffee service has become a baseline expectation sometimes even staffed by a professional barista. Many offices incorporate lounges with self-serve ‘mini-marts’ stocked with quality local market foods, energy drinks and treats. Traditional ‘me spaces’ decrease in favor of enhanced ‘we spaces,’ sophisticated work lounges replete with stylish, comfortable furnishings and finishes. Fitness centers and employee cafeterias get a similar approach, integrating healthy eating options with a fitness tracking program sometimes supplemented with onsite access to clinical healthcare professionals. All of these things may sound expensive, and some can be. So why are corporations making these types of investment? Ninety-one percent of millennials expect to stay in a job for less than three years, according to the Future Workplace Multiple Generations @ Work survey. That statistic and the potential of the exorbitant cost that it represents should make a compelling case for investment in a positive employee experience that attracts the best and brightest—and keeps them. 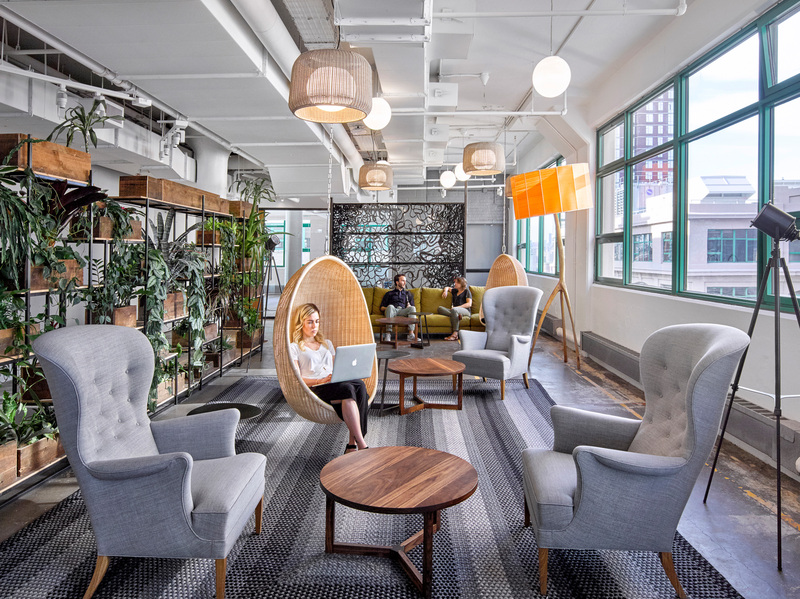 There is no question that current workplace designs are placing a much greater emphasis on creating a curated experience, a sense of place and attention to the needs of the individual. We can take a look at the world of consumer shopping for examples of how a positive impact on the human experience factors into the equation of the art and science of an industry with one simple, clearly defined and easily measurable goal: Sell. More. Merchandise. Retailers continuously measure a variety of data, including customer traffic, the retail conversion rate, average purchase value, number of items per purchase and gross margins, among other metrics. In retail, the beneficial impact of catering to the human need for a positive, engaging, emotional experience can be proven with a mathematical certainty. All too often the vision of a corporate workplace design devolves to the discussion of its architecture as an abstract concept: the workplace as a machine, devoid of human quality with performance metrics mandating a maximum rentable square feet of space allotment per person. Physical space efficiency metrics are relevant, valuable tools. But, as a design imperative, they tell only part of the story. We are designing places for people whose needs go beyond those that can be quantified by mathematical equations. In order to compete for the workforce talent of the future we need to take that assumption very seriously. Just as retailers use sophisticated measurement tools such as loyalty programs and data mining to study and refine product offerings, similar study tools are being utilized in workplace design. Gensler’s Workplace Performance Index is our effort to try to establish a cost/benefit link to components of a top performing workplace design. We have also developed a calculator application for iPad called Value of Human Capital that allows any company to create payback scenarios specific to their organization using estimated increases in productivity, reductions in turnover, absenteeism and ‘presenteeism’ to deliver significant, measurable financial results. In addition to the science of workplace design we also need to consider addressing the ‘art’ of creating a successful, positive experience. A user experience starts with “Why,” an organization’s purpose that sets the tone. It's the foundation for evaluating every experience. We need to break down the elements of an experience in order to address the characteristics of design required to serve workers’ emotional needs. The workplace should be functional, simple to use, convenient in layout and location, and provide a logically predictable user interface. The workplace should contribute to enhanced emotional and physical well-being, a lofty goal where people would leave work at the end of the day in better condition than when they arrived. The learning process is enhanced and accelerated when it includes a process of discovery. A place with an aesthetic that is fresh and contains some unexpected surprises creates a strong user connection and nurtures the human instinct to create. We need to be entertained and have emotional and intellectual stimulation with experiences that are pleasurable, fun and memorable. We need to acknowledge the human need for continual transformation, to achieve personal growth and transcendence. The design of a physical environment can have a dramatic impact on a person’s spirit and sense that they are a part of something and making a difference. 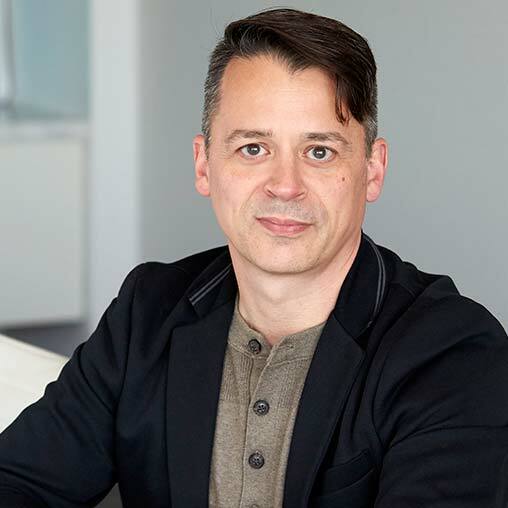 Christopher Goggin is an internationally recognized, award-winning workplace designer. While his projects vary greatly, each demonstrates his deep understanding of how a workplace can best represent an organization’s unique culture and have a positive impact on people. Christopher’s designs anticipate future challenges and seamlessly bridge today’s needs with evolving workplace expectations. Christopher is a founding member of the North Texas Collaborative of the Living Building Challenge.